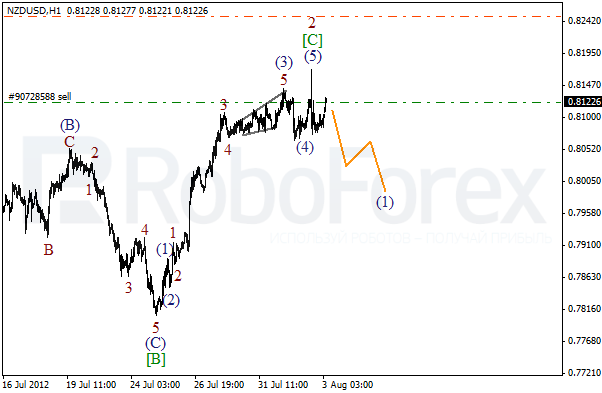 We may assume that wave 2 has been finished, the correction has taken the form of zigzag pattern with flat pattern inside wave [B]. It looks like price is starting to form an initial descending impulse inside wave . Later we can expect the pair to start falling down again while forming wave 3. The structure of the H1 chart has been corrected. We may assume that the rapid ascending movement made by the price yesterday was the final part of wave [C] of 2. On the minor wave level the price is forming wave (1). In the near term, we can expect the price to continue forming an initial descending impulse. 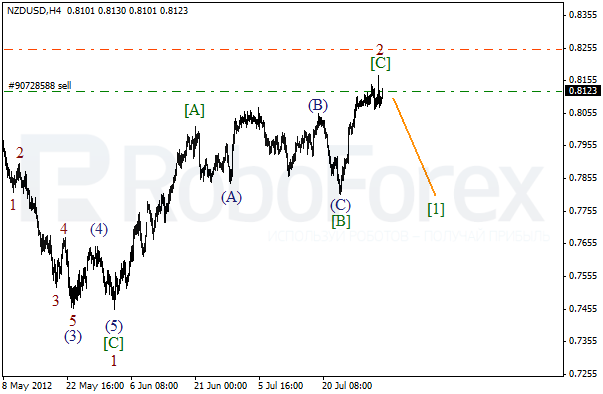 Yesterday the price completed zigzag pattern inside the fourth wave. 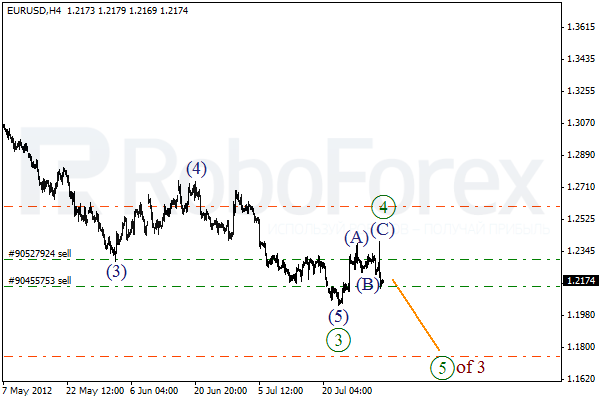 It looks like Euro is starting to form wave  of 3. The price is expected to reach a new local minimum within the next several days. 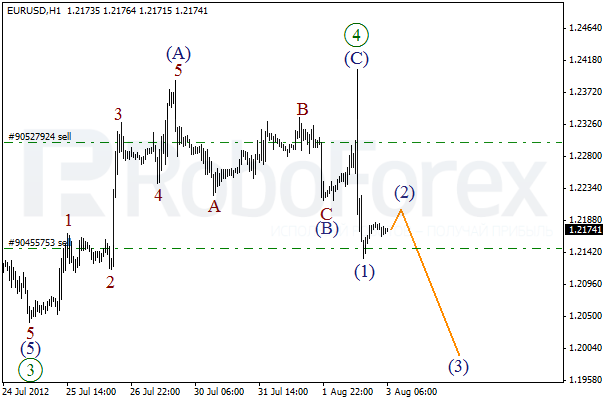 Euro has completed wave (C) of  faster than we expected. On the minor wave level the price has finished the formation of an initial impulse inside wave (1). After the correction inside the second wave is completed, the price may start falling down while forming wave (3).